John R. Greed is president and chief executive officer of Mutual of America Life Insurance Company. Previously, he was Mutual of America’s senior executive vice president and chief financial officer, a position he held since December 2007. John joined Mutual of America in 1996 after 14 years at Arthur Andersen, where he had risen to partner. 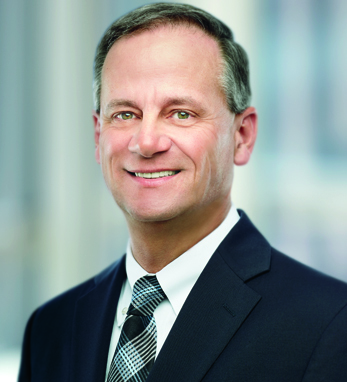 Before his appointment as CFO, he served as executive vice president and treasurer. He currently serves on the board and executive committee of the Greater New York Councils of the Boy Scouts of America, the board of the Life Insurance Council of New York, the boards of trustees of La Salle University and Thirteen WNET New York, and the board of the Citizens Budget Commission. He is a member of the Archdiocese of New York finance council. He makes his home in Philadelphia with his wife, Theresa, and has two adult children, Timothy and Megan.